Back in January 2017, when Ukrainian Finance Minister Oleksandr Danylyuk was presenting the new head of the just-nationalised PrivatBank's supervisory board, he called him a "legendary banker who once helped Turkey out of the financial crisis". Engin Akcakoca indeed headed Turkish Kocbank AS from 1991 to 2000. 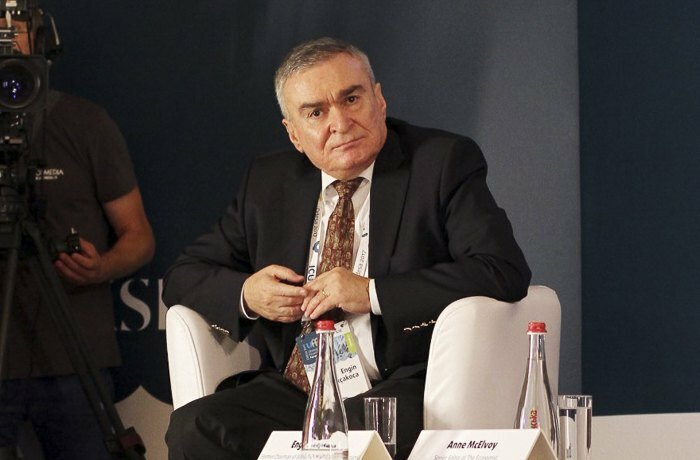 In 2001, amid the raging economic crisis in the country, he was appointed chairman of the Banking Regulation and Supervision Agency (BRSA) and the Savings Deposit Insurance Fund (SDIF) of Turkey. Extrapolating his experience to Ukrainian reality, he was in charge of the central bank and the Deposits Guarantee Fund at once. Akcakoca was involved in banking reform in Turkey until 2004 and later worked for the IMF as an adviser for the central banks of Nigeria and Kyrgyzstan. Today the "IMF man" chairs the supervisory board of Ukraine's largest bank. Last week LB.ua's Andrіі Іanitskyі managed to put several questions to Mr Akcakoca during a brief meeting, including on how and when PrivatBank is going to be sold, whether a new round of negotiations with former shareholders is possible, and what is going to happen to the bank's business abroad. Andrіі Іanitskyі: Ex-owners of Privat were developing it as an international bank. In the last years, the bank’s structural units or subsidiaries operated in Italy, Portugal, Russia, Georgia and other countries. Now only a branch in Cyprus and a share in a Latvian bank have remained. Will Privat expand its presence to other markets again? Engin Akcakoca: For the banks of developing countries this is a wrong strategy entailing unjustified expenses. The bank may be active at the international level, if it actively involves in financing of export-imports operations in its country. With the latest technologies, you do not need to be located in New York in order to raise funds at US markets. However, you will not be able to take deposits at market rates in New York. PrivatBank’s structural units outside Ukraine did not do business in its traditional meaning. That is why the bank had problems both in Cyprus and in Latvia. I see no economic appropriateness in keeping PrivatBank’s business abroad. LB.ua: So, you do not see economic appropriateness in such expansion? Akcakoca: Not only me. This is how this idea is seen in all emerging market countries. LB.ua: There is a Russian example with huge Alfa Group and Sberbank. They are active at foreign markets. Akcakoca: If you have as much money as they do – do the same. Everything you open abroad costs a lot. 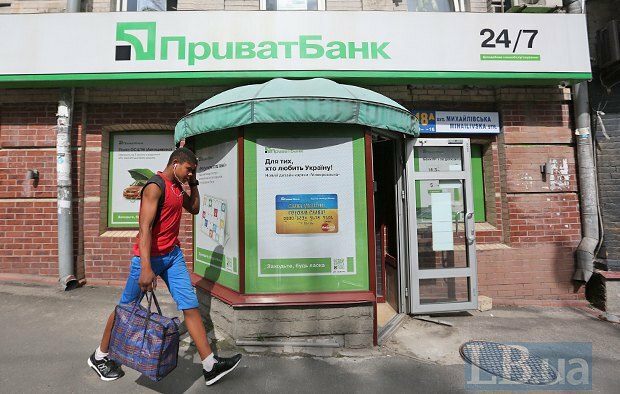 LB.ua: How much does PrivatBank cost now? Above the capital, below? Is it possible to sell the bank with a profit now or it would be necessary to pay? Akcakoca: The price of the banks offered for sale is currently influenced by the world economic factors. Recently in Turkey, quite a big bank owned by Sberbank of Russia was sold to a UAE bank. The price was a little higher than the book value. This is an example of the world trends. LB.ua: It means that it is not the time for sale yet, doesn’t it? Akcakoca: It does not make sense to rush with such big deals. LB.ua: Why did negotiations with former UBOs about peaceful restructuring of their related companies’ debt fail? There was a round of negotiations that led to nothing. Is it possible to repeat them? Akcakoca: Of course, we have applied a lot of efforts to resolve those issues. Constructive negotiations are the easiest way of resolving any issues. It means that each party should understand the situation and the problems faced by the other party. And, of course, when the parties are determined to hold such negotiations, they should start with demonstration of their good intentions. Each party should show substantial signs of readiness to the negotiations, send evident signals to another party that it is prepared to hold such negotiations. LB.ua: Are there such signals now? Akcakoca: So far, I have not seen any signals for serious negotiations. 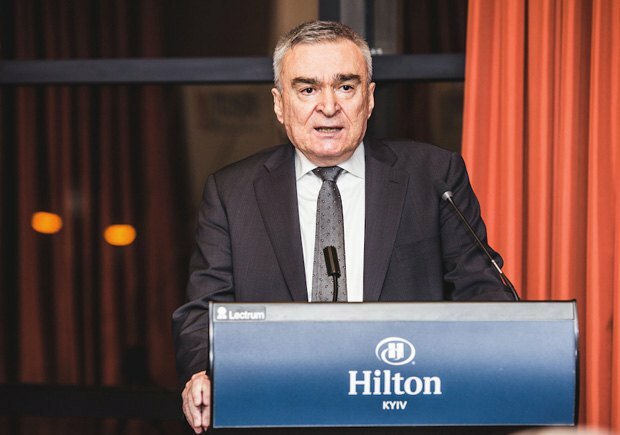 LB.ua: In similar situations in other countries, it seems to me, it was not possible to get all the money from former shareholders. Kazakhstan sets the best example, where only around 20% of the amount was recovered, which, according to the country’s authorities, Mukhtar Ablyazov withdrew from the bank. How much do you expect to recover? Akcakoca: I agree that it would be extremely difficult to recover the full amount. LB.ua: Would it be a half or 10%? Akcakoca: Let me refrain from comments. LB.ua: Have you succeeded in recovering anything so far? Akcakoca: Debt collection activities are in progress, also through courts, the bank is also selling the available pledged property according to the schedule. LB.ua: As far as I can tell, Ihor Kolomoyskyy’s strategy is to have a more loyal president, parliament and government after the elections. And then to be able to influence the bank, including its lawsuit in London. Does this risk exist? Akcakoca: I am a banker, and I do not comment on changes in the political environment either in Ukraine or in any other countries. Elections are a purely Ukrainian issue. LB.ua: An idea was shared that PrivatBank could be sold in parts: retail business, processing business, etc. What is your attitude to this idea? Akcakoca: Our purpose is to have the bank privatized and to earn as much as possible for the state. Therefore, any scenario is possible. If we see that the bank is too large to be sold as a whole at a good price, of course, its split could be an option. LB.ua: Will the toxic loan portfolio be excluded from this transaction? Akcakoca: Nobody would buy toxic assets.